This is a really amazing dish 🙂 Nice post! Thanks Asha. Would love to see some entries for our blog’s event and giveaway. Check this link. I love tarka roti, always eat it when I used to visit my nani in kolkatta! Thanks for the recipe 🙂 will make it tonight! Thanks a lot…baritey aj etai banabo. Love the simplicity of this recipe. Well firstly I would like to thank you for this recipe but there are two things I would like to rectify over here with due respect. 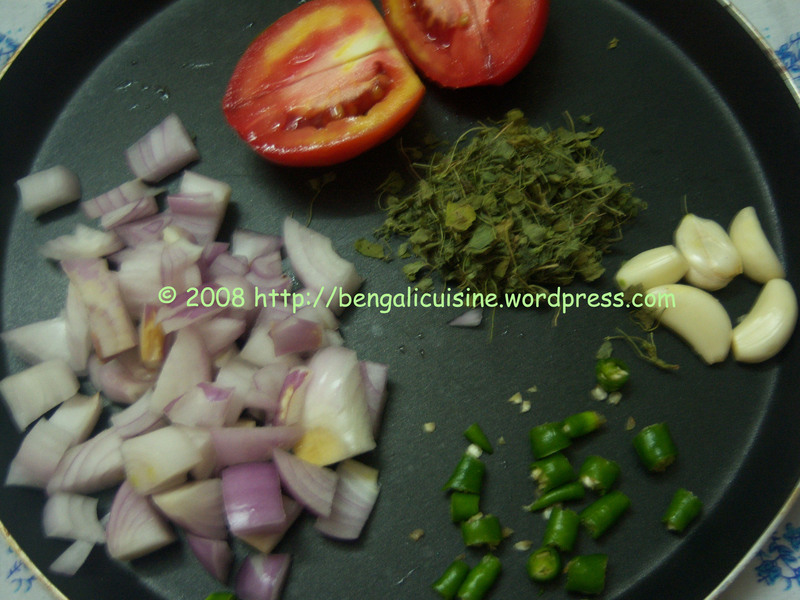 It might be a different recipe but being a freelancer on cooking recipes myself I would like to add here that ginger needs to be added in the ingredients and green chillies are not called sukhno lanka. Sukhno lanka are the dry red chillies. Thanks for the rectification, I must have missed those out. I’ll update the post. 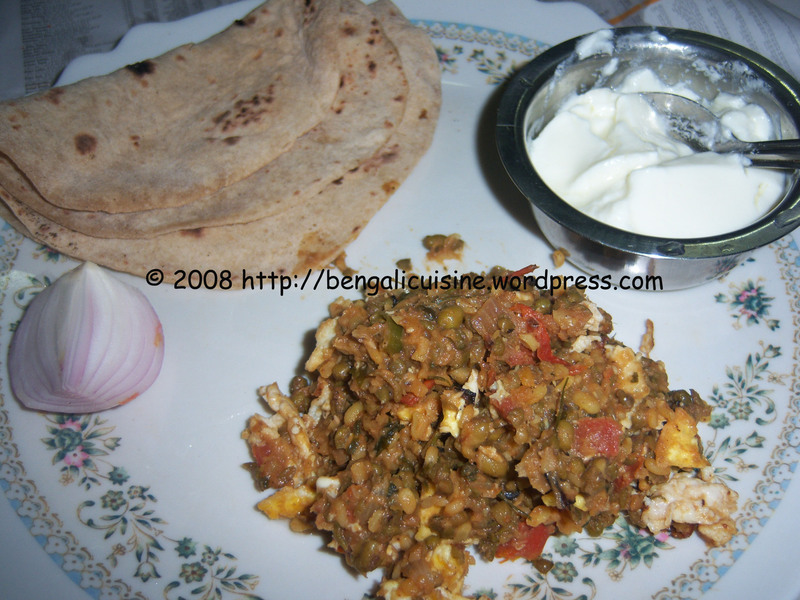 Egg and dal is a combination I have yet to try. Never too late to try something new, kitchen here I come!!!!! If you love eggs, then you should definitely try it. If you don’t like the way its prepared you can just fry the egg like scrambled eggs and garnish the fried egg over the tadka. Or else just leave the egg. We also make it with minced meat. Looks yummy but new dish to me. Looks great..thanks for sending it across! Looks yummy! new dish to me..gonna try this for sure.